Reconstruct big images from overlapping tiled images on a Spark cluster. TeraStitcher is a free tool that enables the stitching of Teravoxel-sized tiled microscopy images even on workstations with relatively limited resources of memory (<8 GB) and processing power. It exploits the knowledge of approximate tile positions and uses ad-hoc strategies and algorithms designed for such very large datasets. The produced images can be saved into a multiresolution representation to be efficiently visualized (e.g. Vaa3D-TeraFly) and processed. 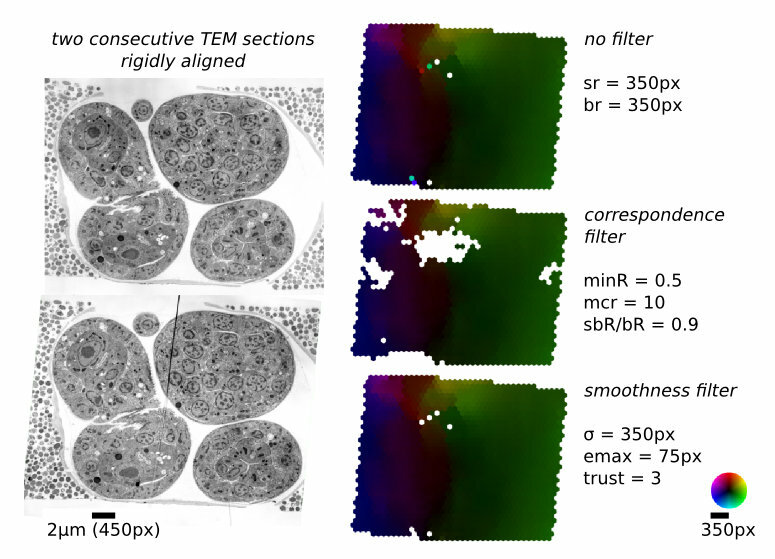 The BigStitcher is a software package that allows simple and efficient alignment of multi-tile and multi-angle image datasets, for example acquired by lightsheet, widefield or confocal microscopes. The software supports images of almost arbitrary size ranging from very small images up to volumes in the range of many terabytes, which are for example produced when acquiring cleared tissue samples with lightsheet microscopy. 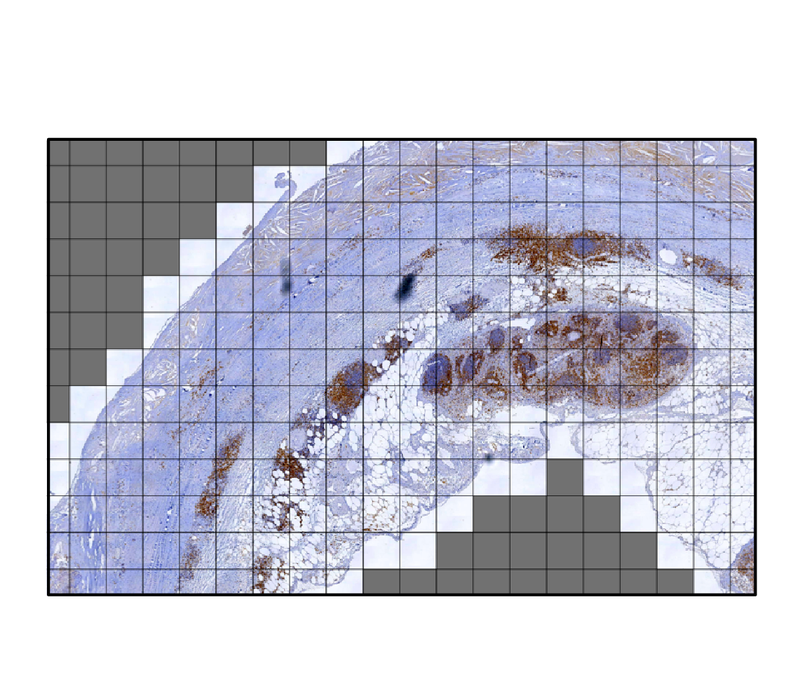 SlideToolkit is a collection of command-line tools to assist with the automated histology analysis of whole-slide images. The publication linked in the "reference" details the actual workflow. This includes tools to organize the data, perform tiling and subsequent batch processing of the generated tiles in a cell profiler pipeline. All the tools are designed to run on a single PC or on a HPC system. The scripts in the toolkit are on github under MIT licence. This macro can stitch a (Z,T,C) data set with virtually no limit on the number of Z slices and time frames. The input to the macro is a folder with the raw tiff images (one image per file) as typically exported by motorized microscopes. These files must all be stores in the same folder and the file naming should ideally comply to OME-TIFF. The macro is however quite flexible: Only --X, --Y and --Z fields with user defined number of digits are compulsory. --T, --C and --L fields with user defined number of digits are necessary for multiple time frames / channels data sets. A compatible data set is provided as a .zip archive. Before processing it unzip it to a given location. The stitching is performed in a reference Z slice (and in a specific reference time frame and channel). The same displacements are applied to all the Z slices, time frames and channels. Before starting the batch processing a montage with the original images of the selected Z slice / time frame / channel is displayed together with the stitched image in this stack. If you are not satisfied with the result you can select another reference. The stitching is then performed time frame by time frame and slice by slice and the stitched images are exported to a single user defined output folder. The macro can also process a data set with multiple channels, the stitching is then computed once on a reference channel and then applied to the other channels. This macro builds a stitched image from a muti-position 3D + time hyperstack. The XY positions of the montage should be coded as channels in the input hyperstack. Channel ordering can be configured in the dialog box to adapt to Column/Row and Meander/Comb configurations: The images should appear in this order when browsing the hyperstack with the channel slider. Fine stitching is supported (requires sufficient overlap between the views). The XY displacements of each field of view for stitching are computed for a single reference (Z,T) slice (user configurable) and applied to all slices (Z and T).